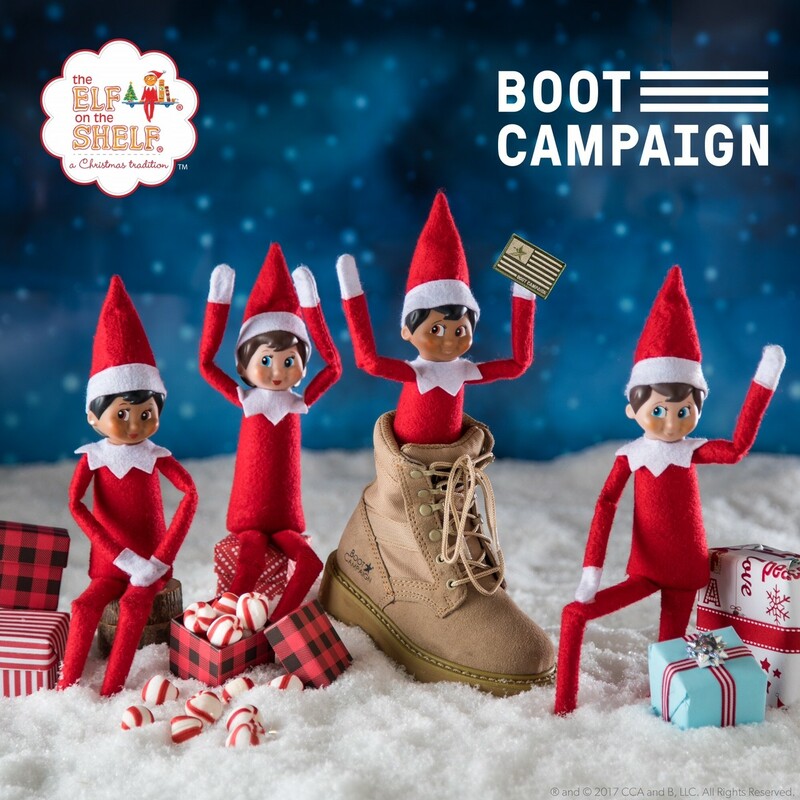 "Santa hears requests for Boot Campaign's Santa Boots effort"
“Santa Boots is about sharing the holiday spirit with those who sacrifice so much for us,” said Boot Campaign CEO Shelly Kirkland. “Two years ago, we started receiving nominations for military families through our network, but we knew a bigger need was there. Now we can begin meeting that need!" For veteran and active duty families in need, the holidays can be particularly difficult. Thanks to a new national partnership between the Boot Campaign’s Santa Boots program and two other national non-profits serving the military – Armed Services YMCA and Operation Homefront – more than 85 military families across the country will now receive “surprise” holiday gift packages with customized gifts for their entire family inside. Working in collaboration with the Armed Services YMCA’s 13 U.S. branches and Operation Homefront’s 23 U.S. locations, Boot Campaign will now have access to more than one million military families across the country. Veteran and active duty families are nominated by each partner non-profit location and once chosen, gifts specific to those families are donated by patriotic families and businesses across the country, such as Camden Property Trust who will support military families in cities across their portfolio. Gift boxes are then delivered just days before Christmas. Corporations already providing support this year include The Elf on the Shelf®, Lounge County, The Container Store, O-Venture and Texas Roadhouse. Country music superstar Joe Nichols, will also help kick off the campaign’s top-secret “Elf Week” – from Dec. 4 - 8 – where volunteers shop and assemble the holiday gift boxes for all Santa Boots families. The Santa Boots Program, first introduced by Boot Campaign in 2015, has made a difference for more than 100 military families since inception, providing a joy-filled Christmas for veteran and active duty military families who may not have been able to afford Christmas gifts otherwise. According to Kirkland, money is often tight after deployments, and some military families have PCS orders or face service-related injuries. Without help around the holidays, many military families would go without the uplifting tradition and gifts they deserve. “We are very excited to partner with Boot Campaign’s Santa Boots Program this year. The gifts they provide to military families represent the deep respect this country has for those who protect our freedoms. We are honored to be a part of that,” said William French, Vice Adm., USN (ret), President and CEO of the Armed Services YMCA. 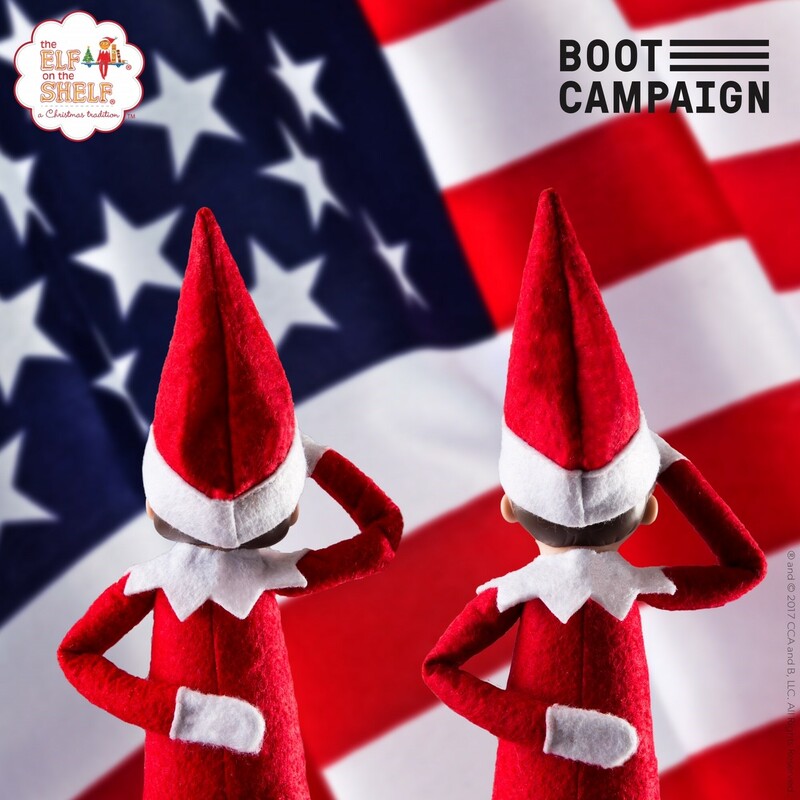 To learn more, donate and volunteer to be part of Boot Campaign’s Santa Boots program, click here. Each year, the Armed Services YMCA serves more than half-a-million junior enlisted active duty Soldiers, Marines, Sailors, Airmen, and Coast Guardsmen along with their family members from 200 service centers in 18 states. Whether providing respite child care for parents in need, summer camps for kids, or assisting with emergency needs, the Armed Services YMCA is a nonprofit with a mission: Make Military Life Easier. To learn more about the Armed Services YMCA visit asymca.org, like us on Facebook, and follow us on Twitter. Founded in 2002, Operation Homefront is a national nonprofit organization whose mission is to build strong, stable, and secure military families so that they can thrive – not simply struggle to get by – in the communities they have worked so hard to protect. Recognized for superior performance by leading independent charity oversight groups, 92 percent of Operation Homefront expenditures go directly to programs that support tens of thousands of military families each year. Operation Homefront provides critical financial assistance, transitional and permanent housing and family support services to prevent short-term needs from turning into chronic, long-term struggles. For more information, go to http://www.OperationHomefront.org.